Galeries Lafayette owner Motier SAS bought a 6.1 percent stake in Carrefour SA (CA), saying the “strategic” stake is for the long term and a reflection of confidence in the company’s future. Motier, the holding company of the Moulin family, bought 44.2 million Carrefour shares, according to a statement sent after the close of French trading. At today’s closing price, the stake was valued at 1.3 billion euros ($1.8 billion). Galeries Lafayette raised 1.18 billion euros from the sale of its 50 percent stake in Monoprix to Carrefour rival Casino Guichard-Perrachon SA (CO) in a deal reached in 2012. The purchase of a stake in Carrefour follows failures by Galeries Lafayette in the past year to acquire rival department stores Printemps and House of Fraser Plc. “Motier is also actively pursuing its strategy of developing its core activity of department stores and will devote the necessary resources in the course of the coming years,” it said in the statement. Lille, France-based Motier has no intention of increasing the stake, which was purchased on the open market, said a person familiar with the matter, declining to be identified as the plans aren’t public. 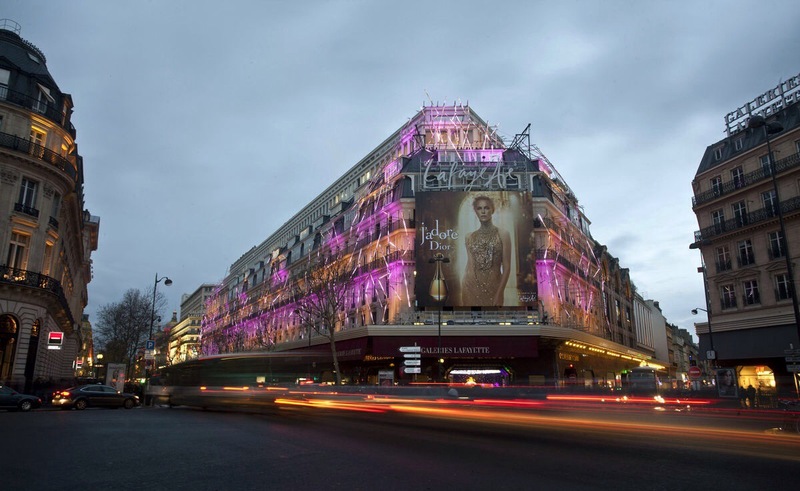 The acquisition also won’t impact Galeries Lafayette’s plans for expansion, the person said. Under Chief Executive Officer Georges Plassat, Carrefour is focusing on Europe, Latin America and China after retrenching from markets where it viewed prospects as weak. The company is considering selling a stake in its Brazilian business next year, Plassat said last month. Carrefour shares have advanced 1.2 percent this year, giving it a market value of 21.1 billion euros. Bernard Arnault, France’s richest man, controls about 14 percent of the company in concert with Blue Partners and Colony Capital, France’s market regulator said in September. A Carrefour spokeswoman declined to comment on the purchase.